Apply today for a fun, life-changing summer! Each summer, Camp Friedenswald seeks 25-30 Summer Staff to fill a variety of positions, including youth camp counselors and program support staff. 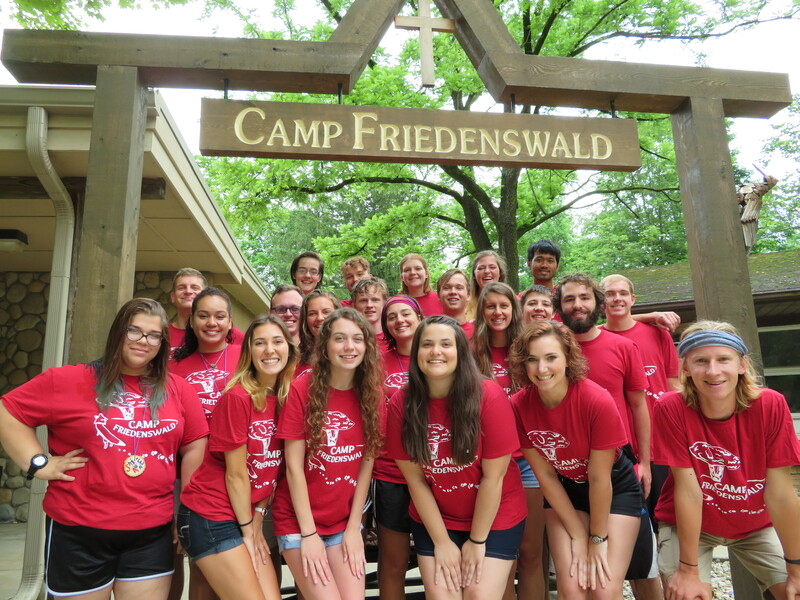 A summer at Friedenswald offers an opportunity to serve in a unique setting of God’s Kingdom. Our Summer Staff work with youth grades 1-12, families at Family Camp, and bonds as a team as they work together throughout the summer. If you have any questions, email our Program Team or call 269-476-9744. No year-round staff openings at this time. Check back later for more information on 2019 summer staff openings. Camp Friedenswald provides hospitality to over 15,000 people annually. We depend on caring, skilled and committed staff in order to provide a quality retreat and camping experience for our guests. Employment opportunities are posted here as they arise. If you have any questions, email our Executive Director or call 269-476-9744.